The image of a cat with a harness and a leash walking down the street with its owner easily brings a smile... but it should also make us reflect on the advantages and above all, the risks of this practice for the cat. We often treat cats as if they were dogs, but a cat is not a dog and its needs do not coincide with those of a dog. For many dogs, a walk is a fundamental part of the day: some can only relieve themselves during the walk, which also gives them an opportunity to interact with other dogs. Cats readily accept the litter box as a single place for relieving themselves and their social trends vary greatly depending on the individual: meeting unfamiliar cats could be stressful rather than an opportunity to play and interact with others. 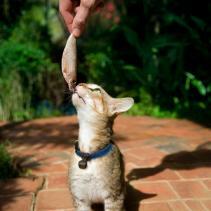 Cats usually place scent marks in their territory, which exert a calming effect on the animal. Going for a walk means moving in an unknown environment without its reassuring marks. There is also the risk of the cat getting hurt or a sudden fright when meeting unfamiliar dogs. With this in mind, walking the cat outside the house cannot be considered a necessity, although some cats seem to enjoy it and some experts even advise it for cats who are prone to escape. To walk a cat, you must first accustom it to wear a harness and leash indoors, and give it rewards while wearing them. When the cat tolerates the harness, you have to choose the hours and quiet places to go for a walk, considering that it is best to walk it in a private garden where there is less risk. You can never stretch the belt that only serves to prevent the cat from going away. Taking the cat for a walk can stimulate the animal, but for many cats stimulation is exaggerated and the experience is more stressful than enjoyable. 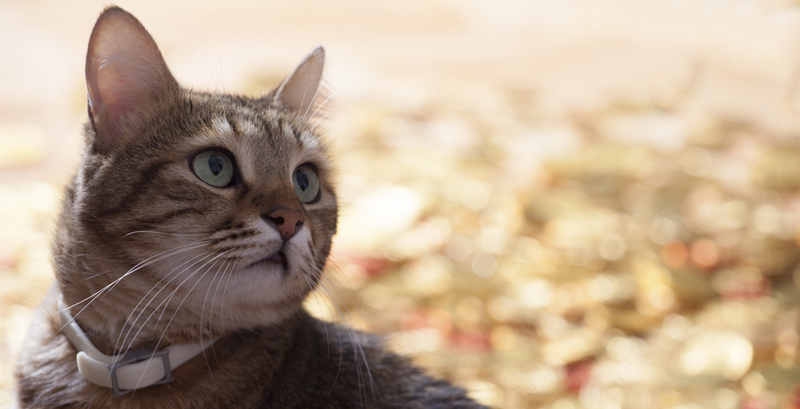 Proper organisation of the interior of the house and enriching the environment may be the best way to stimulate cats’ exploration without going outside.